One of the things we least like in the summer is blow drying our hair. It’s already hot outside, now we have to turn a handheld tool blowing hot air at our head. Yes, all dryers have cool air settings, but when you want to dry your hair quickly so you can get back to sitting in front of your air conditioning, heat will dry it quicker. 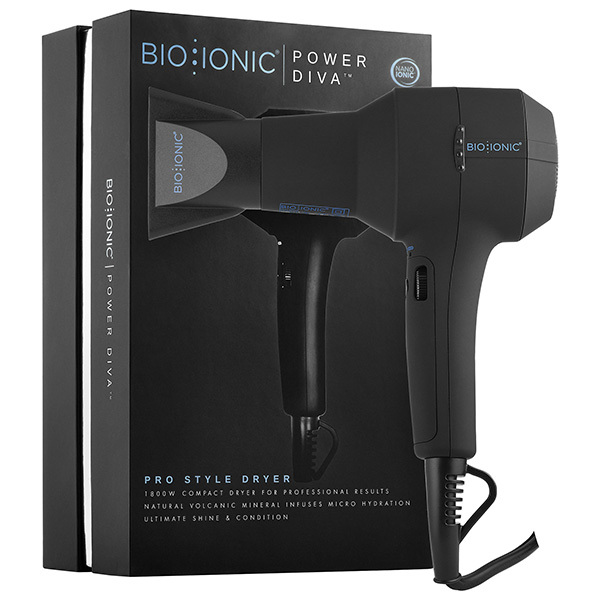 So when the Power Diva Pro Ionic Dryer arrived for us to try, we were hopeful, yet skeptical. It was small. Small like the dryers you find in a hotel. But it was a beautiful design and felt good to hold. 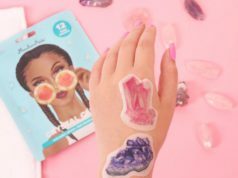 It didn’t feel cheap, and the quality felt like it would survive one of our clumsy beauty expert hands dropping it on the bathroom floor. She plugged it in and noticed how quiet it was. It was not the dryer of her childhood that was loud and abrasive like a bad heavy metal band. It buzzed like a hummingbird and did not drown out the music playing on her stereo. We tried it on everything from cool air to hot, slow to fast and were impressed with the ease of switching temperatures and speed. We will admit it took a few tries to get the hang of the dial. It is not as intuitive as we would like, but once you get the hang of it, the chore of drying your hair can be fun. It came with two different attachments, great for blowouts. We wish it had one of the big wide ones for curly hair, but luckily there are a bunch on the market that will fit different dryers, so you should be able to use one of those if you wish. The science behind ionic dryers says it dries faster with less damage to the hair. We believe this is true. We did not have it on the highest setting, and it did seem to dry Mytopface expert long hair in less time. And it did not feel as dried out as it sometimes does with a regular hairdryer. The design of the dryer places the control dials on the handle in a way that makes the tool easy to use whether you are right or left-handed. Very smart. Overall, this little wonder impressed us and made our team feel like a professional hair stylists with our sleek, lightweight, and not too loud hairdryer in hand. 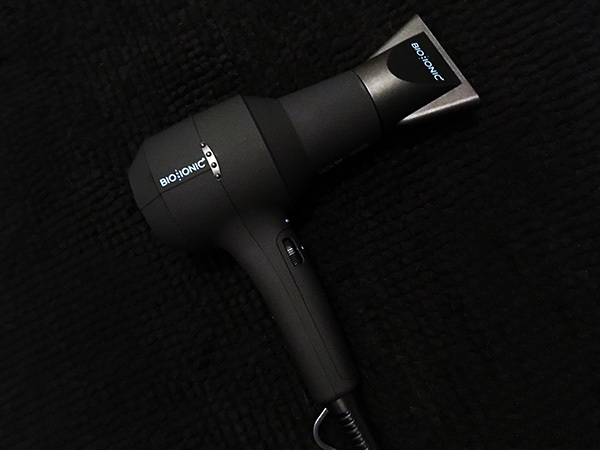 It’s time to trade in that regular hairdryer for something more grown up. Mytopface team deserve it and so do you.